Colleen moved to Lake County in 1973 with her family. Shortly after graduating High School, Colleen became a Flight Attendant and has travelled the world many times over. Colleen returned to Lake County to raise her three children with her husband, Thad, in what she describes as “The best place in the world to grow up” Colleen’s love for the area encouraged her to obtain her Real Estate license in 2003 so she could help other families experience “Lake Living” at its finest. Colleen has recently received her Broker’s License and looks forward to meeting all of your Real Estate needs. Mike Humble and his family moved to Lake County in 1996. After retiring from a career in Law Enforcement, Mike decided to take on a new challenge, and venture into the world of Real Estate as his second career. 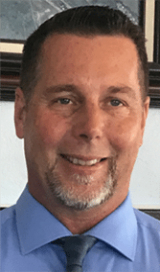 Mike brings with him the experience of years service to the community, and an intimate knowledge of what makes Lake County a diverse, and wonderful place to live. Nancy, Broker Associate at City Center Realty, has been listing and selling homes in Lake County since 1974. 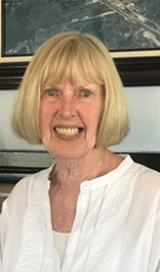 Her extensive knowledge of the Real Estate Market comes for her 43 years of experience working with Buyers, Sellers, Lenders, Appraisers, Title and Escrow Officers in basically all phases of the Real Estate Market. Nancy was born in San Francisco and grew up in the Bay Area. 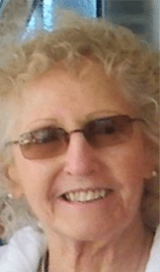 She moved to Lake County in 1970 and worked for three years as a nurse’s aid at the Lakeport Unified School District before obtaining her Real Estate License. Nancy and her husband, John, have two children, seven grandchildren, and a yellow lab. Nancy’s favorite thing to do when not working is to spend time with her family. Sue and her family moved from the Bay Area to Lakeport in 1976. Sue has worked in Real Estate for 30 years in Lake County. Sue obtained her Broker’s license in 1999 and for the last 6 years was Broker/Owner of City Center Realty. Sue recently contemplated returning to spend more time with her family and to travel more. However, her enthusiasm for working with her returning clients and new members of the community directed her to a compromise. In 2017, Sue became an Associate Broker at City Center Realty. Sue enjoys her new role, and having the ability to focus 100 percent of her time into her clients. Carol has worked in the Real Estate industry since 1977. Since then, she has filled many roles. 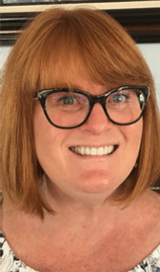 She has been President of the Clear Lake Board of Realtors as well as Chairing numerous committees. She has been Board of Directors for the California Association of Realty. She has received many awards and accolades over the years, including Realtor of the Year 1997, 2003 and #1 in sales 1994, 1998, 2003. Carol has been a member of National Association of Real Estate Appraisers as well as being the past Chair of the Regional MLS Board. 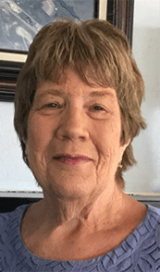 Besides Real Estate, Carol has served the community that she loves as a past President of the Kiwanis Club, member of the Chamber of Commerce and the Clear Lake High School Boosters Club. With her vast knowledge, Carol is ready to take on any Real Estate question you may have!